Casting directors are in need of actresses from Melbourne area to portray various Disney characters in Hong Kong Disneyland Resort. They want to cast 4′ 11″–5′ 7″ female talents, at least 18 years old, who can act and who looks like a Disney princess or heroine in one of their animated films like Alice in Wonderland, Beauty and the Beast, Cinderella, Frozen, The Little Mermaid, Sleeping Beauty, Snow White and the Seven Dwarfs, and Tinker Bell. Salary and benefit package include roundtrip airfare, individual housing with paid utilities, shuttle service to and from work, medical and dental coverage, paid vacations and sick days, plus a competitive salary and a daily living allowance. However, you must be willing to relocate to Hong Kong until your contract ends. You will be having a 6- to 9-month contract, which will start in September of 2015. 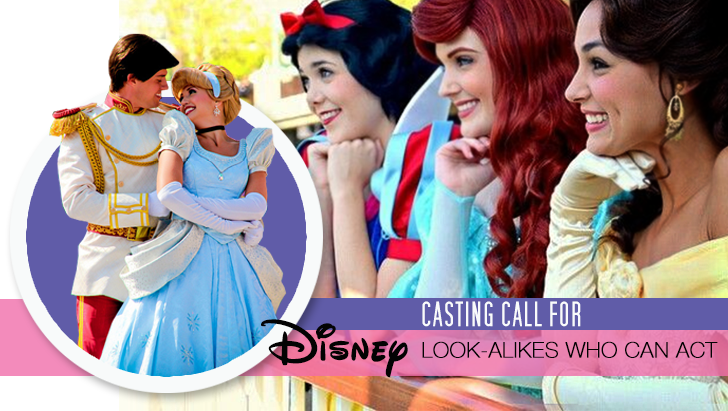 Should you be willing to audition for a part, the casting call is scheduled to take place on May 31, 2015, at 9:00 a.m.
Seeking females for Disney character look-alikes.